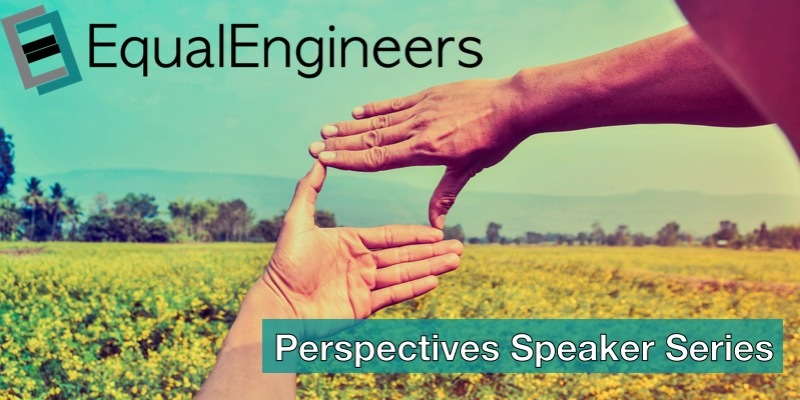 EqualEngineers is pleased to announce our industry seminar event “Perspectives – sharing experiences of inclusivity in engineering” in partnership with the Institution of Civil Engineers. Through this events series, we aim to strengthen the individual voices of underrepresented groups in the engineering and technology profession, and provide a platform for sharing experiences, common challenges, what people are working on, opportunities for collaboration, and so forth. By convening this industry group, we believe that we can not only benefit from the increased size and presence that a united approach could provide, whilst acting as allies for one another, but also understand the differences and the individual needs that we each have, to start to work as truly inclusive engineers. 11:45-12:00 – Where’s Your Other Leg, Love? We will also take the opportunity to work on a common message that can be shared by us all, and one which strengthens the business case for increasing diversity and inclusion. Spaces are limited, so please register for your ticket and if you would like to get involved and give your own perspective, please do indicate this in the comments box when registering.